The main idea is to give dominators 2 "specializations" : one the summons specialization, and the other one the debuff specialization. Remove Strengtened Summoned Monster (Magic One), and add the effect to the physical one. Increase the values to more 100 physical attack power and more 200 magic attack power (only magic skills are ennon and nastech fireball, lol). Reduce buff duration from 1 hour to 10 minutes (to prevent afk farming with the buff). Reduce the cooldown of Lithifying Fog to 1 minute, change level range from 1-7 to 1-10, as now, it has way too high Cooldown and low success chance, and considering the high cast time it's a really weak skill. Change the word "Paralysis" with "Stun" for easier understanding. And also add "PvP only" because it works only in pvp. This summon max at level 77, and it's almost useless for a level 90. I think the levels should be scaled up to match the current level cap. I think it should level up every 5 levels, (and ofc the stats changed based on the level) so the summon will end to be 90 at level 9 of the skill. An Ennon level 90 should heal at least 2 000, (now heals 981 at 77), considering the very high hp at that levels. Summons need an improvement on damage that is not just a fixed stat, I would give them a bonus of 50% of dominator's weapon added to their base damage (and this should apply ONLY to dominator's summons). Add a DOT skill to Lenatore. Move Shadow Binding from Soul Hunter to Dominator, make it a ground AOE Root, similiar to Trap of Stiffness but instead of stun, it roots the targets. Add Summon's Sacrifice (the skill under the summon's heal). Add new debuff "Darkness" under shadow binding. Bring back Counterattack to Dominator (S1 skill). Duration : 5 minutes (all levels same duration). And the defense effect should be removed, or replaced with Evasion. "Curse the target to decrease its attack power". Decrease target physical and magical attack strenght by 30%. On Crit : Decrease target's SCAD and CAD by 30%. So, the main idea is to have a skill that let the dominator "consume" the summons to get HP or a buff, giving dominator more interaction with the summons. Move Magic Master (Curse) from Soul Hunter to Defiler, increase the damage to +20 per level (200 at level 10). Reduce the DNA to make Vampiric Touch useful, as now it needs 30 DNA to make it good, change the limit of this DNAs to 5 instead of 10, with the same effects of lvl 10 DNA, so it would take 15 DNAs to reduce cooldown, cast and AOE vampiric touch. Remove Swift DNAs for summons. Add a new DNA for each summon. I will just put the first level and max level stats. Lv1 : Increase Kazara's physical damage by 100. Lv5 (max) : Increase Kazara's physical damage by 500. Lv1 : Increase Lenatore Attack Speed by 0.2 sec. Lv5 : Increase Lenatore Attack Speed by 1.0 sec. Lv1 : Increase Ennon Heal by 200. Lv5 : Increase Ennon Heal by 1000. Lv1 : Increase Magic Property Damage by 200. Lv5 : Increase Magic Property Damage by 1000. Lv1 : Increase "Shocking Cry" stun success rate by 3%. Lv5 : Increase "Shocking Cry" stun success rate by 15%. Note that this changes are not final and are subject to change based on players feedback. Edited by Kazara, 08 December 2015 - 03:06 AM. Instant shadow bind? Idk man that's a bit op. I'm willing to let it have a longer range or even have a multi target but for its duration with dna, no way instant. Heh, why not have a trap of binding? Instead of just regular old sb. Have it work similar to trap of stiffness except instead of stunning it roots. Anywho everything else looks nice. Oh specifics on counter attacks stats please. Thinked about it, and I would also prefer shadow binding as an AOE ground like trap of stiffness...let's see if Helium can do it. I changed it and removed the DNA for instant cast. I also posted details about Counterattack stats. Now is that aa dmg or melee dmg in general? Physical damage, AA and physical skills, only short range one. Edited by Kazara, 30 September 2015 - 09:54 AM. Hello, nice work there kazara! I would like to suggest nastech s magic damage skill being powered up and making it an aoe (like 5 targets hit on 5m radius or something) and change its heal skill to a offensive buff for the domi (maybe something like a curse damage boost). As for ennon i would replace its magic attack skill for 1 additional heal skill or a defensive buff (like a def buff or evasion buff). Hope you like my suggestions. Buffing Ennon Heal... i dunno if that is really necessary with VT and AoC around. Why not increase the Heal for the Pets only, so Enemies would feel the need to kill the Ennon first...? Increase Humbabas Self heal would than not be so necessary. Adding a Dot to Lena.tore...i would rather give him a Debuff like LRDDD 3 or 4 that would help the Long Range Classes / Allys too. About Shadow Binding, that sounds pretty drastic, if Defiler is a AoE Expert than i see Dominator more as a Solo Target Specialist. So giving him a AoE Root...i`m not sure if that really fits. Counterattack don`t really fit to Dominator into my Eyes too. That Skill sound more fitting for a Tank or Mele / Short Range Class. So giving him a long Range Mele reflect ya that sound more fitting into my Eyes. But thats a pretty mighty Tool. Such a Skill would ofc. support the Class but i rather see the Pet System improved. Since its the Core Characteristic of that Class. So why would you lower the Duration of the Pets...let em go afk with em, that`s no Mayor Problem. It`s more of a Feature. So ya the Pets needs a upgrade but the Dominator itself not really into my Eyes. Mayby the debuffs like Relapse Wound & Binding Weapon could have a Additional Effect like a Dot or make the effects a bit Stronger but giving the Dominator more and other Skills will just dilute the Class. And make him more similar to Defiler. Edited by Sandyman, 01 October 2015 - 04:05 AM. Long Range reflect doesn't fit dominator since xenoas are the counter class of kruxenas and I wanna keep it like that, said that, short range reflect seems to fit much more the dominator. It's also because everyone usually target the dominator and rarely the pets, and it would give some kind of protection to the dominator. Lithy fog doesn't look so OP in my eyes, 2 minutes cooldown, 2 sec casting, 75% chance per tick (sometime I don't get the buff or mostly I have to sit in the fog for looong time), and all that just for ANTI-STUN. Just to say, this skill was 30 seconds CD before. Giving lenatore a long range debuff with his already low 412-412 long range damage wouldn't make any difference, a DOT would work better. Only because we are summoners doesn't mean all we must have is copy-pasted summons, in most game necromancer/dominator is usually the best class about crowd control and debuffs, and no, I don't like afk farm, it shouldn't exist. We already have a defense debuff and an accuracy debuff, this class is made to be a short range melee counter, and the AOE root doesn't look any stronger than AOE stun. No1 ever said dominator is a single target class, they just made it like that in S2. Edited by Kazara, 01 October 2015 - 04:24 AM. well a affect like LRDDD would help your Party , if a Ranger or SR is with you. A Dot is nice ofc. but Soul Hunter has some Dot skills already. Pets should not replace your own Skills. Thats simply boring. Well a Domi can outsmart most mele Fighter already the First Job is extremely Powerful and able to do so. The biggest Concern i always had with Domi is the Pet System. I would like to see a Pet Skill Tree like Druid has for his Inferno/Doomguard System. Which will allow him to "Master" his Pets. The simple Buff System looks only like a excuses. 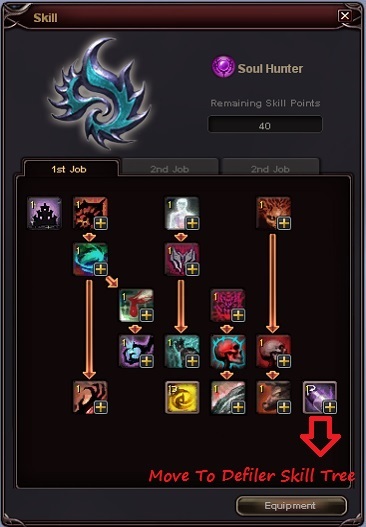 A Skill Tree System would allow to add targets or Debuffs. Effects. It would also be cool make the Dominator the perverted opposite from Avenger Pet System. When a Avenger heals his Pet, a Domi should be able to life steal or buff himself with help and at cost from his Pets. He also should have a perverted resurrect Skill that transforms a slain Ally into a Golem or some useful Creature. Very cool would be when a Ally uses "Help" to ressurect and a Domi could revive his Dead Body in his Possesion Beast Form for 60-120 Sec mby...More Role Play aspects would be cool. Edited by Sandyman, 02 October 2015 - 03:15 AM. Its because of an absolutely insane and awesome idea like a resurrection into pb. I don't see why a dominator can't resurrect dead mobs for short periods of time. Sounds pretty cool. I don't agree with lrd debuff though. Not helpful at all. You say ranger and sr. But Rangers in raids are silly, and sr usually uses duals. And is usually a sin with scad buff. Now if you told me there was a raid that required them, for example there were objects on the walls that needed to be shot otherwise the party would get demolished, I would change my view. But the way the game is right now. Ranger and sr in raids is bull-_-. It would be interesting to see 2 different potential dominators. One being a master of debuffing. And a second a master of summoning stuff. Skill - Attack of Curse move to Dominator tree. Updated!!! Want to see opinions about the new debuff, and summon skill. 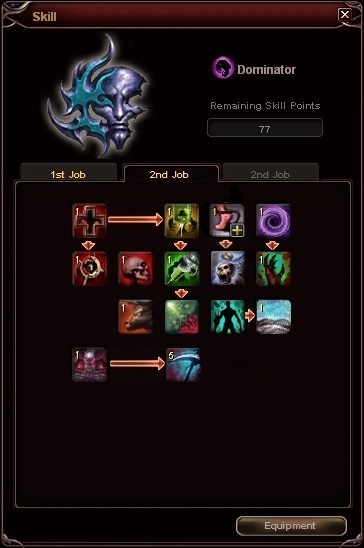 Added this 2 skills so Dominators can have 2 kind of "specializations", summon focus and debuff focus. Hmmm, so that debuff would be for pve right. Since for pvp most dmg comes from scad and cad. Why not do 30% instead but have it reduce patk,matk,scad,cad? Yeah I thought the same...I will make it 30% reduce physical and magical attack and ON CRIT it will reduce 30% SCAD and CAD. de-buffing fits for Domi really well. And more option adding to the Pet system makes sense. Both helps to define the Class . Removed the old summon DNAs and added new ones! Want to see opinions about them! Edited by Gelbair, 10 November 2015 - 03:36 AM. This is a totally awesome idea. I would come back and play if Dominators were given more pet buff options and made more pvp viable overall. Totally sweet idea. This changes are outdated, check https://forums.warpp...-skill-changes/ for the UPCOMING CHANGES.